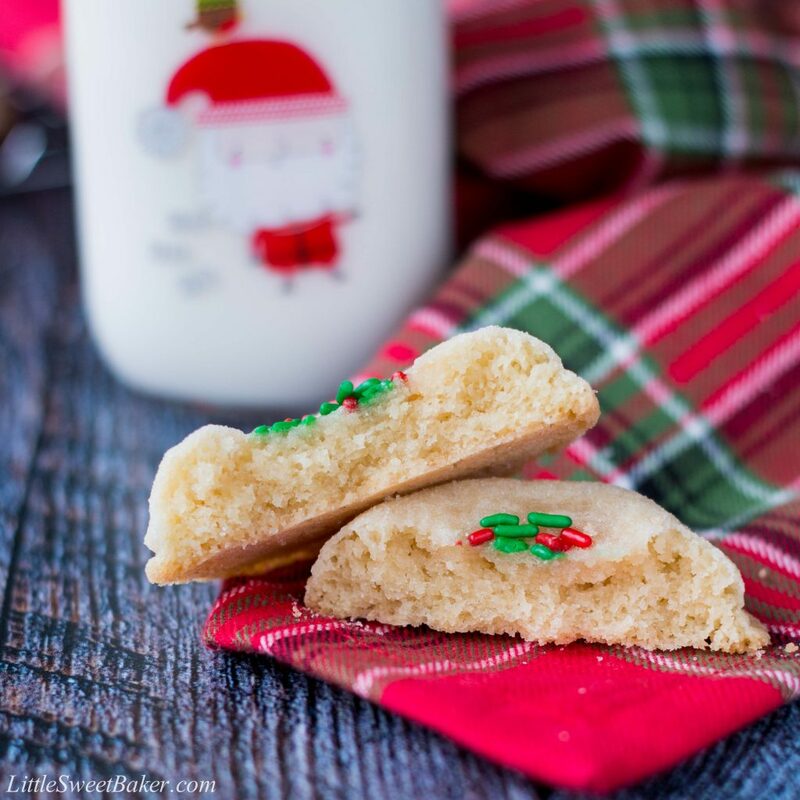 These thick and soft sugar cookies are nice and chewy with the perfect amount of sweetness. This quick and easy recipe requires no chilling, you just make and bake! Alright, I’ll be honest: I’m not a huge fan of sugar cookies. I’ve always found them too sweet and rich tasting for my liking. And I always thought that was just the way it is; I mean they are called “sugar” cookies. However things changed for me when I came across this recipe from A Latte Food. 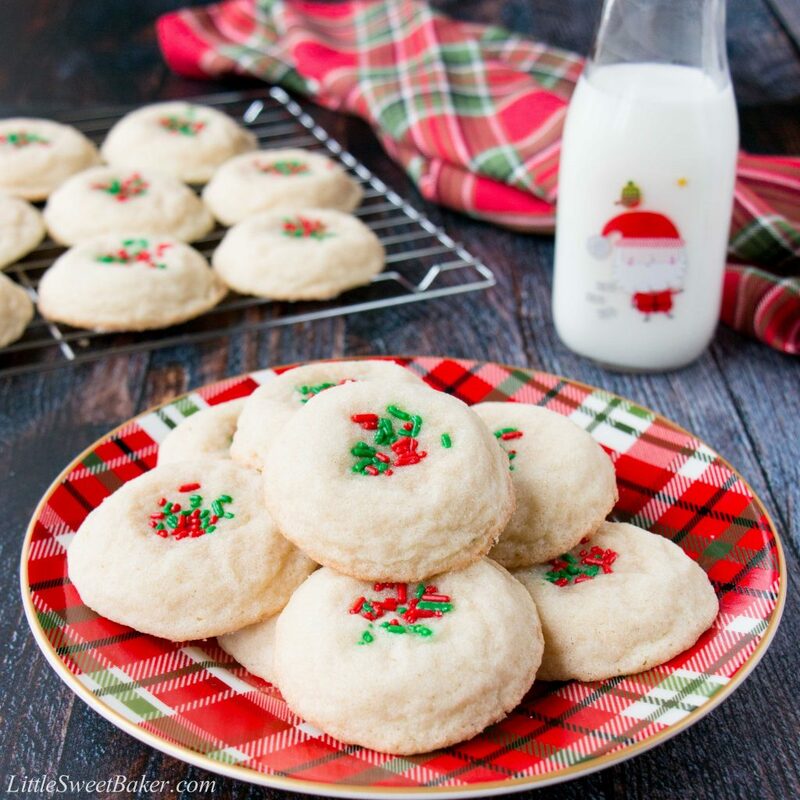 These sugar cookies are incredibly soft, not too sweet and have AMAZING flavor. The secret? A hint of almond extract (you read that right). 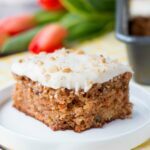 The almond extract not only adds an extra layer of flavor, but it also tones down the richness from the butter. The main flavors are still vanilla and butter. The almond extract is simply there to elevate and harmonize all the other flavors together. This recipe starts with butter and just the right amount of sugar creamed together. Then you add in an egg, some vanilla and a splash of almond extract. 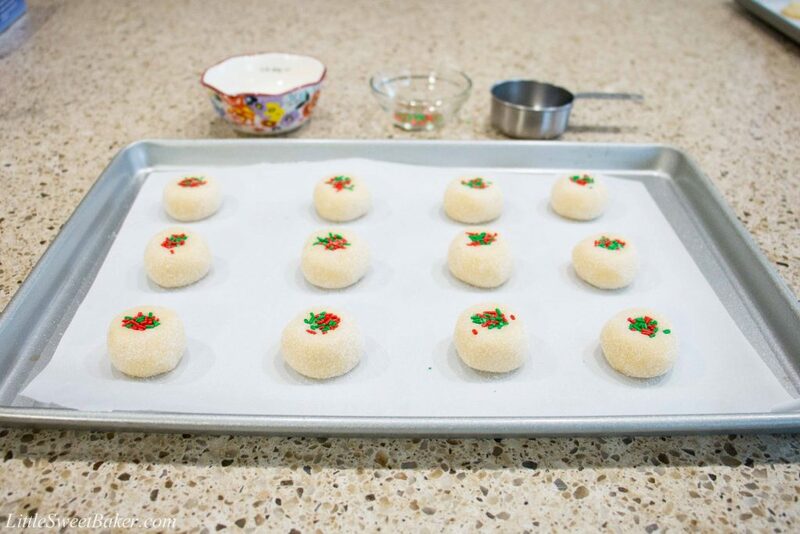 Mix in your dry ingredients, roll the dough in your hands, roll it in sugar and bake. There is no chilling or waiting, no slicing or dicing. 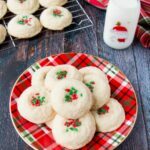 It’s just simple, and frankly the best darn tasting sugar cookies I’ve ever had. I couldn’t stop eating the first batch I made and had to make another batch the next day. 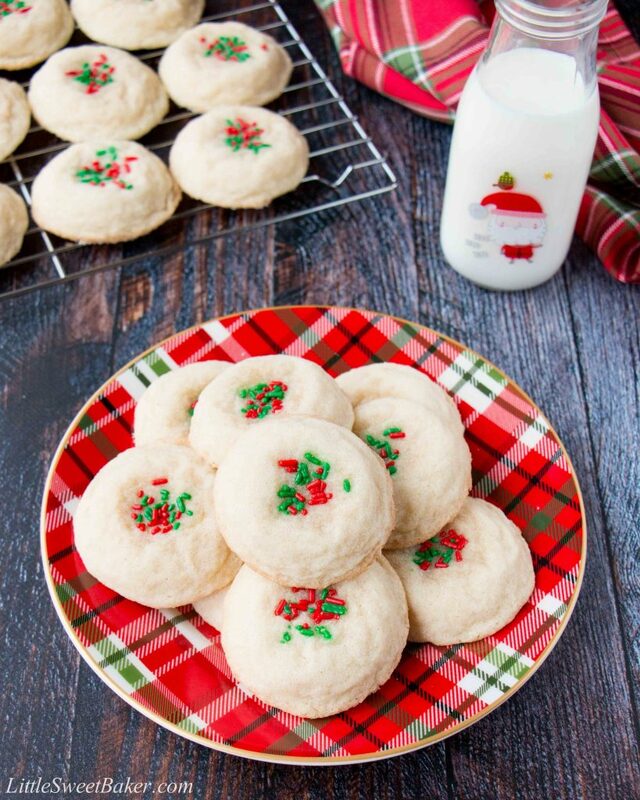 Enjoy these cookies with your friend and family this holiday season. They are soft and thick with a crunchy sugar coating. They taste buttery with a lovely scent of vanilla and a gentle scent almonds. Preheat oven to 350F and two line baking sheets with parchment paper. In a medium bowl, toss together the flour, baking soda, baking powder and salt. Set aside. In a large bowl, cream butter and sugar together until light and fluffy, about 1 minute. Add in the egg, vanilla extract, and almond extract; beat until combined. Mix in the dry ingredients until just combined. Scrape down the sides of the bowl as needed. Scoop out cookie dough using a small cookie scoop or tablespoon. Roll rounded dough in sugar. Place on baking sheet, about 2″ apart. If adding sprinkles; make an indent with your finger and add a pinch of sprinkles. Flatten slightly using the bottom of a dry measuring cup. Bake for 10-11 minutes, or until edges just start to brown.